Welcome to East Pass Towers! 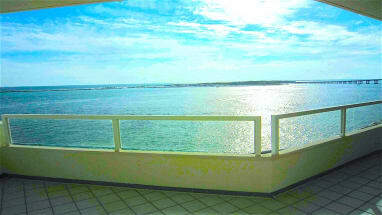 East Pass Towers are gorgeous condominiums that are located directly on the beach! All condos are individually decorated and all have free wifi. Another great quality these condos have are their balconies! Guests will also find kitchens, refrigerators, stovetops, microwaves and dishwashers. Also, make sure you don't miss out on the private outdoor pool the condominium provides! When you stay at East Pass Towers, you will be able to enjoy all of the amenities and necessities you could need while on vacaction! Another great thing about East Pass Towers is it's located about 3 miles from Big Kahuna's water park, and it's within 6 miles of HarborWalk Marina. Make sure you take advantage of these amazing amenities being so close by! Both of these places are great places to take the family for an entire day full of fun! The kids will love spending a hot day at Big Kahuna's water park, riding all of the rides. And at night, take the family to dinner and more fun activities at the HarborWalk Village. Thank you for visiting Emerald Coast By Owner for all your vacation needs! Make sure to contact the property owner today if you are interested in staying in East Pass Towers condominiums! Our property owners will gladly assist you in the booking process and answer any questions you have. ECBYO does not charge any service fees when you book with us, so book online today and save!